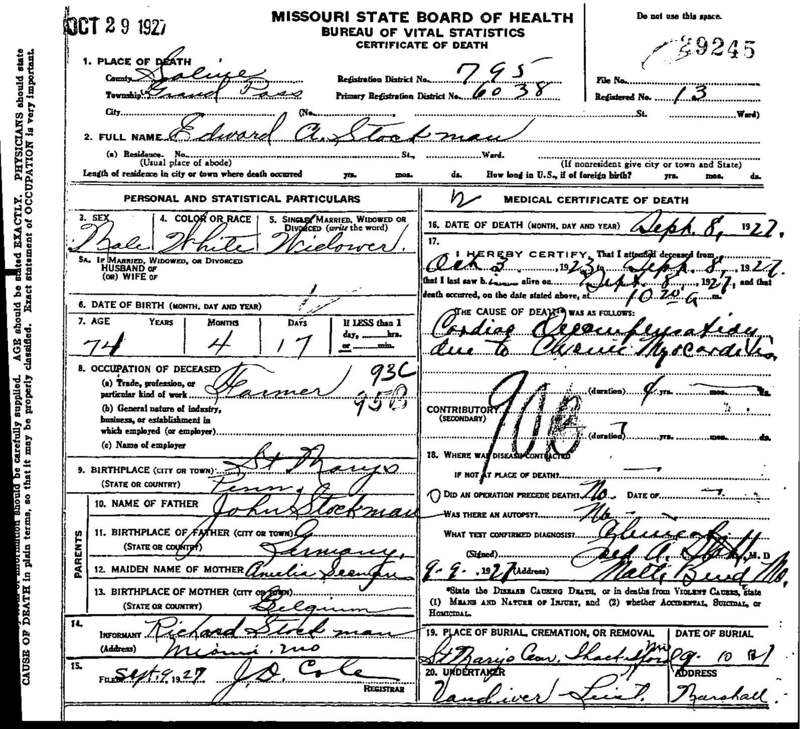 "Death Record - Edward Adolph Stockman"
Birth location: St. Mary's, Elk County, Pennsylvania. Death location: Grand Pass Township, Saline County, Missouri. Burial location: St. Mary's Cemetery, Shackelford, Saline County, Missouri.